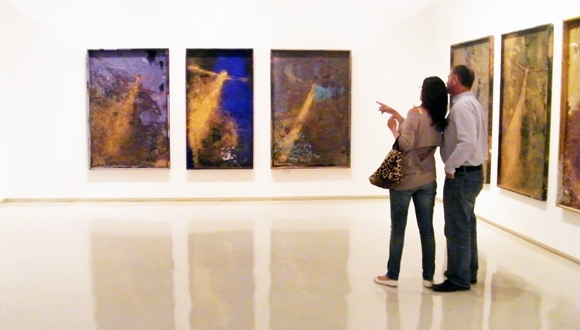 The Genia Schreiber University Art Gallery is a major venue for changing art exhibitions, museum studies and a home for TAU's impressive collection of artworks, including pieces by Marcel Duchamp, Marc Chagall and Michel Kikoine. Situated at the entrance to the campus on the eastern side of Entin Square, the gallery was designed by Dan Eitan and Bracha and Dr. Michael Chyutin. The gallery was conceived as an architectural element that blends with the surrounding landscape and the buildings of the Yolanda and David Katz Faculty of the Arts nearby, making use of the special topographical conditions of the slope of the land. An integral part of this is the Levi and Fortuna Eskenazi Sculpture Garden. 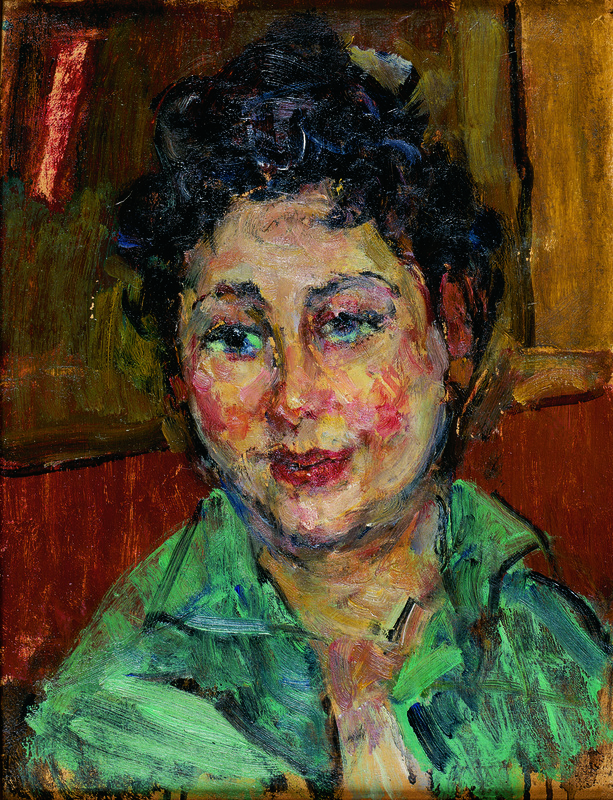 The gallery mounts exhibitions on selected issues in art history with the focus on modern art, in particular Israeli art. Additional exhibitions explore aspects of architecture, archaeology, literature, theater, philosophy and photography. The gallery comprises a collection of the creations of Marcel Duchamp, a present of Arturo Schwartz from Italy, the lithographs that illustrated the story of the exodus from Egypt by Marc Chagall, a present of Dr. David and Dorothy Levinson from the United States, and a collection of American prints from the 1960s and 70s donated by Viviane Bregman of the United States, all property of the university gallery. The university gallery also houses the Museum Studies Program which trains curators for work in museums. The Gallery was founded and headed by the late Prof. Mordechai Omer, a leading trendsetter in Israel's art world and former Curator of the Tel Aviv Museum of Art. The current building, completed in 1988, is a donation of Boris Schreiber of France and the United States. The gallery is open to public, free of charge, Sunday through Thursday from 11:00 to 19:00. The Sarita and Noel Wertheim Exhibition Hall in TAU's Sourasky Central Library is a major cultural center on the campus, showing art exhibitions all year round, including international shows sponsored by foreign embassies, as well as expositions of local Israeli contemporary art. The diversity and scope of exhibitions held in the Hall can be demonstrated by the breadth of subjects, ranging from world heritage sites, to the artist Frida Kahlo, to theater arts. Measuring 500 sq meters, the Exhibition Hall also serves as the entrance to the University's library for the humanities and arts, where students can mingle and can admire a huge mural by renowned artist Avraham Ofek, which dominates the entire Hall and is considered one of the University's main art treasures.